I truly believe this. What you wear not only is a great way of expressing yourself, but it tells people lot about you without even communicating a word. When I am at work I wear black or grey workout clothes everyday with my hair in a some sort of ponytail and natural makeup. People see me as sporty, professional, and often comment that I am the "trainer girl". People barely recognize me outside of my workout clothes (I pretty much live in them). I do, however, love dressing up. When I am out and about people often comment on my outfits, accessories, makeup, hair, and nail color. They want to know where to get what I have, and sometimes even ask help with choosing their own clothing. I have now been a personal stylist for 2 years, but this job has been a lifetime in the making. I have always been one to hunt for bargains, style clothes in my closet a bunch of different ways, and read about fashion. Some things I've learned are that your style whether it be your hair, or your shoes says something about you. No makeup day? People might think you're tired, lazy, or stressed. Did you wear sweats to work? Coworkers might think you had a late night, are going to clean up soon, or you aren't feeling so hot. Did you go over the top and wear the highest heels in your closet? People might assume you are crying for attention, or look ridiculously too dressed up for work. It's time to love what you're wearing. Not just for comforts sake, but to help boost your self-esteem. 1. Safe clothes with a little pizazz: Find an outfit you look & feel gret it. Something simple, chic, with a touch of "you". 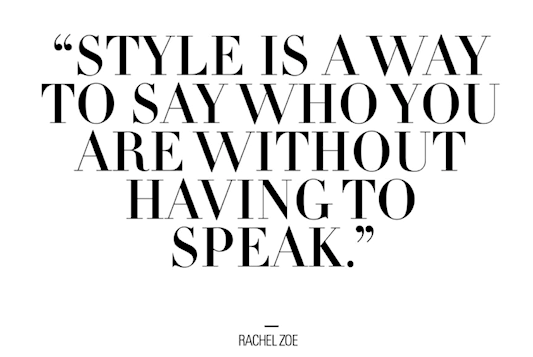 The flair in your style is only yours to choose. My advice is to pick one item of flair at a time. If you are wearing neutral colors then go for a pink heel or lip. If you're wearing a bright jacket, wear a neutral shoe and purse. If you have super big & curly hair, go for some neutral toned makeup. 2. Clothes that fit: If you think you're a small, go try on a medium and an extra small to make sure you are a true small. I have clients who always buy clothes too big or small. This definitely is true when bra shopping. 3. Highs & lows: I have a trick that I use to save money, but still look like a million bucks. I mix my outfits with clothes that are $$$$ and clothes that are simply $. If I wear my most expensive purse then my shoes were probably on sale. If you love my top, the jacket over it was probably a hand-me-down. You don't have to spend a million bucks to look like a million bucks. Learn how to shop sales, and remember most websites usually give new subscribers 10-20% off. 4. Don't be too trendy: Crop tops, huge wedges, high waist cut offs, and plastic bead necklaces are coming back. All can be cute when paired with the right outfit, but remember that throwing them all together can look like a cluster. Instead, wear one or two "trendy" items at a time. Don't go over the top. 5. Buy nice staple pieces: A perfect black skirt, a leather jacket, beautiful boots, a nice purse, and your favorite jeans. Every girl needs their go-to items. I like to allow myself to spend a little more on these staple items, because I know I will get my moneys worth wearing them. Check out my Pinterest to see what styles I'm loving right now. Over the last few months, I have been reading a ton of books & articles written by successful women. Women who have grown smarter, stronger and more successful over the years. One commonality in all of these books is something quite hidden. Everyone mentions their trials and tribulations, but no one talks about those trials as often as they talk about all their successes. Who would want to read a book about someone who is always failing anyways? Even the most glamorous women struggle with insecurities. The richest woman probably had money issues at some point. A happily married woman probably dealt with a bad breakup. The most successful professional woman probably had a job that she hated. The difference in women who achieve success and women who don't, is their ability to pick themselves up after they fall. The more independent someone is, or is able to become, the more likely they will succeed. The less you rely on others for your drive, happiness, & worth, the better off you are. Take some time today to reflect, journal, or meditate. Try to remember your lowest of lows. Remember how you thought you wouldn't possibly be able to get out of that place? Maybe you are in the middle of one of those slumps right now! Turn these situations in to your past, and try to dissect them. Grow from them, and learn from them. They make you a stronger person, and lead you towards success. I wanted to take the time to pay some respect to MLK Jr. It's always exciting to get a free paid day off work, but the real reason we have it off is to acknowledge a man who truly started a big change for our nation. I took today as a day for reflection, a lot of "me time", and gave myself a bit of a history lesson. What an amazing human. A man who never let negativity put a dark cloud over his positive light. A man whose voice spoke for millions who couldn't find theirs. A man who somehow found a way to always take the high road. A man who gave us hope & helped us believe in change. A man whose words moved a nation & whose words will continue to. A man who helped us get to where we are, and whose teachings inspire us to get to where we need to be. 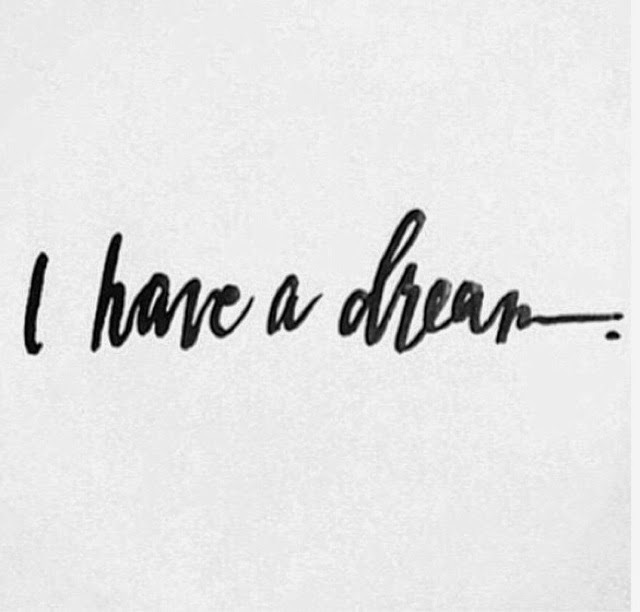 His dream is our dream. His dream is our future. This past Saturday night I decided to host a Girls Night In. 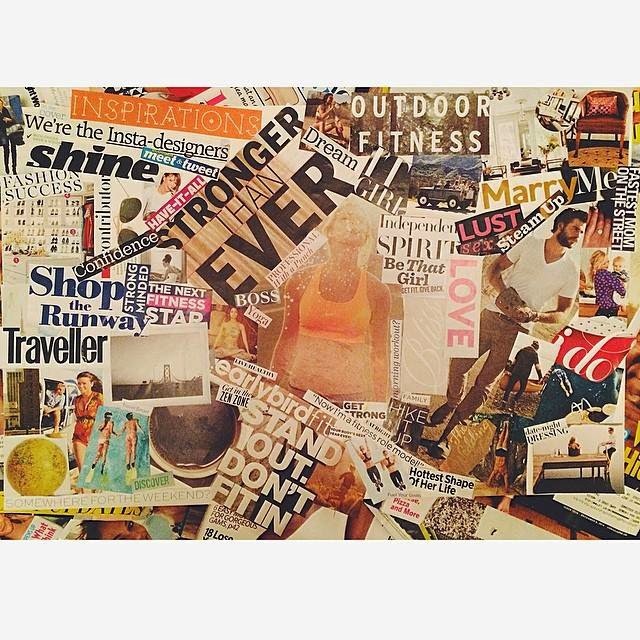 I decided to do this after reading a pretty inspiring article in Marie Claire about how goal setting the form of a vision board has worked a ton in helping people achieve their goals. My girlfriends and I wanted to see what this was all about, and decided to make a night of it. We all prepped a healthy dish, brought a bottle of wine, scissors, and magazines. 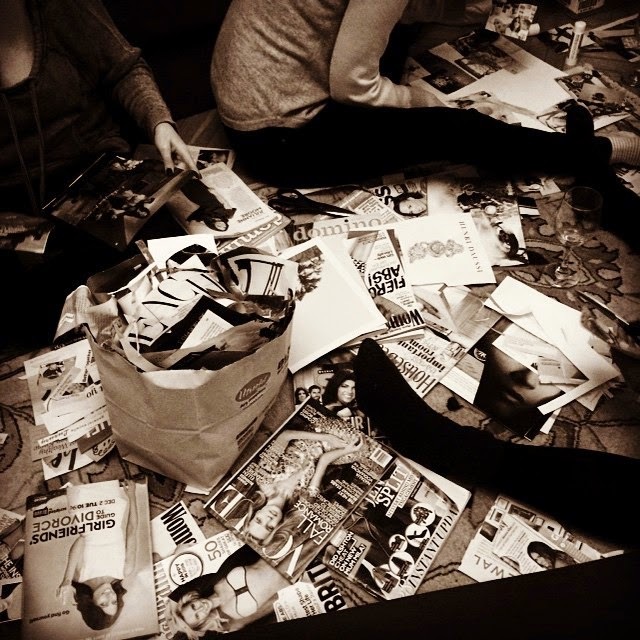 We spent our night flipping, cutting, drinking, blasting pop music, and talking to each other our wildest dreams. In the end, we all were shocked to see how different our boards looked. Not only how they each looked creatively, but the contents plastered on them. One of our friends didn't realize until she finished her board how focused hers was on marriage and having a family. Another friends board was filled with travel destinations and food. What will yours be filled with? I encourage you to spend time to 1. think about your goals 2. put it on paper 3. try making a vision board. Mine is finished, and I ended up hanging it right by my light switch in my room. I see it when I go to bed, wake up, and every time I leave the house. 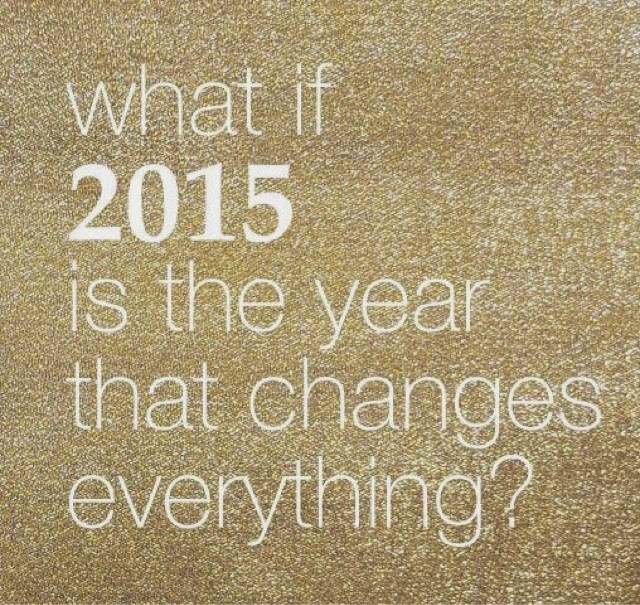 This year I got a little more specific with what I want to acheive in 2015. The more specific I am with my goal setting, the more likely I will put in the work to acheive my goal. Some of these might seem silly to you, but my goals will look different than yours. After you read my specific goals take a look at yours to see if they are specific enough. Travel: it's been my goal the last two years to go to 2 new places a year, so I have to keep up with it!